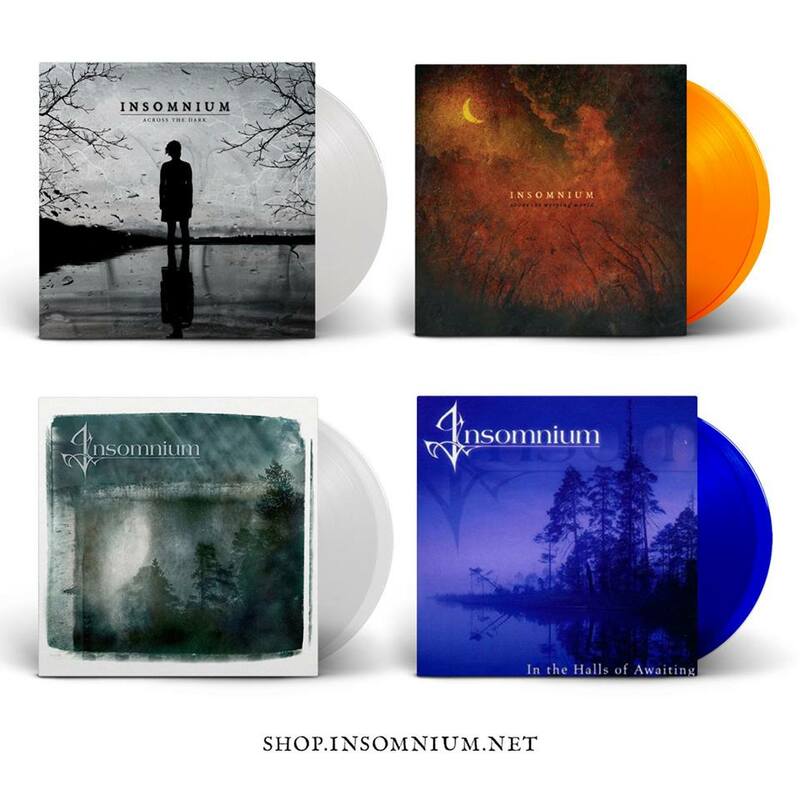 Home » News » Candlelight Records To Re-Issue First 4 INSOMNIUM Albums On Vinyl! Candlelight Records are set to re-issue the first 4 albums from Finnish extreme metal legends Insomnium on vinyl this November. These original 4 records have been re-mastered by Turan Audio, with all vinyl artwork carefully restored by Dan Capp to create these beautiful vinyl reissues. Inspired by bands such as their legendary countrymen Amorphis and Sentenced, early Paradise Lost and Swedish genre pioneers In Flames, Dark Tranquillity, At The Gates and Opeth, these teenage metalheads formed Insomnium in 1997 in a small city of Joensuu. From that point, the only direction for Insomnium was up! Album by album, from their 2002 debut In the Halls Of Awaiting via Since The Day It All Came Down (2004), Above The Weeping World (2006) and Across The Dark (2009), Insomnium have become a powerhouse of melodic death metal.